Lanzarote, one of the Spanish Canary Islands, has long been a popular holiday destination and with its year-round warm weather and stunning scenery, it is easy to see why people fall in love with the island. If you are thinking of buying a property in Lanzarote, we have provided a quick guide to buying property in Lanzarote below to help make the process as stress-free as possible. If a mortgage is required to buy your property in Lanzarote, ensure that you know how much you are able to borrow and the realistic options that are available to you (Contact Worldwide Lawyers for more information about mortgages in Lanzarote). On top of the asking price of the property in Lanzarote, you will be required to pay taxes and legal fees for the purchase. The general rule of thumb is that for property purchases in Lanzarote you should allow an additional 10% of the property purchase price to cover the legal fees and purchase taxes etc. (this may be slightly more for lower value properties). You should also make sure that you know what your on-going obligations would be in relation to the property in Lanzarote after purchase. For example, if you intend to rent out the property to tourists, you need to check that this is allowed and check if a license is required in order to do so. You should also find out what the on-going tax and community fees for the property will be. Remember currency fluctuates and therefore the price you would pay for a property in Lanzarote on the day your offer is accepted, may not be the same on the day of completion. The slightest change in the exchange rate, may end up costing you thousands of pounds extra. By talking to a currency specialist as early as possible, you can explore the ways they can minimise the implications of currency fluctuations and save you serious money on the exchange (often thousands of pounds). Get in touch with a recommended currency specialist before you buy to see just how much you could save (Contact Worldwide Lawyers for more information about how to save money on your currency exchange or for details of a recommended currency specialist). It is extremely important that you instruct a Lawyer when purchasing a property in Lanzarote. You should ensure that you instruct a lawyer in Lanzarote that is English-speaking (unless you speak fluent Spanish) and has experience of assisting UK clients in relation to property purchases. It is strongly advised that you do not use a lawyer that is recommended by the seller, estate agent or developer. You can provide your lawyer in Lanzarote with a Power of Attorney so that they can deal with matters on your behalf when you are not in Lanzarote. This can save you having to travel to Lanzarote every time a signature is required (See our article Giving Power of Attorney to Your Lawyer for more information). It is never too early to get organised and contact a recommended lawyer in Lanzarote. Getting in touch with a property solicitor in Lanzarote early means that you will be able to budget for their legal fees and you will also have your lawyer in Lanzarote on hand to assist you should you need to move quickly with regard to the property purchase. 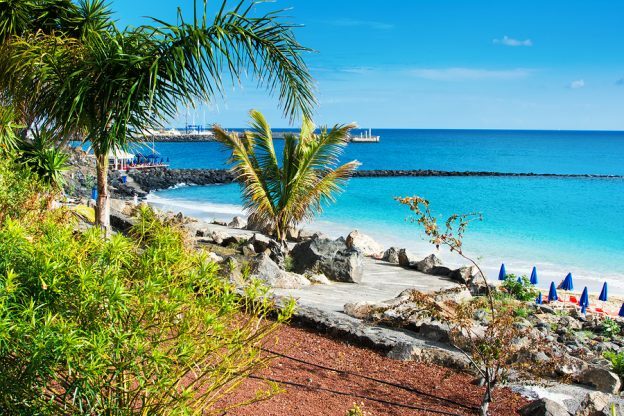 Worldwide Lawyers can assist you in finding an independent English-speaking lawyer for your property purchase anywhere on the island of Lanzarote including Puerto del Carmen, Playa Blanca, Costa Teguise, Puerto Calero, Playa de los Pocillos, Arrecife and everywhere else! Download your free legal buying guide to Spain here or contact Worldwide Lawyers on 01244 470 339 or email us at info@worldwidelawyers.co.uk for more information or for details of a recommended lawyer in Lanzarote. An NIE number will be required by all non-Spanish purchasers of property in Lanzarote. An NIE is essentially a foreigner’s identity number. Your lawyer will be able to assist you with getting an NIE number in Lanzarote. For more information see our blog Getting a Spanish NIE Number. Once you have found your perfect property in Lanzarote, your lawyer will undertake the relevant checks on the property. This will include carrying out checks at the local land registry, town hall and tax office to make sure that the property is free from problems. They will also make sure that the seller owns and has good title to the property and will check to ensure that there are no restrictions to using the property as you intend. It is important to obtain advice from a lawyer in Lanzarote before handing over any deposit or signing any contract, as deposits are usually non-refundable, should you pull out of the property purchase. After your English-speaking lawyer in Lanzarote has completed all the final checks on the property, they will prepare the final Purchase Deed and arrange between the parties a date for this to be signed at the Notary’s office in Lanzarote. To finalise the purchase, the Escritura de Compra Venta (Deeds) are signed in front of the Notary in Lanzarote. The balance of the property price is paid, together with the transfer taxes and you can then be registered as the new owners of your property in Lanzarote. Your lawyer may also assist you with setting up your utilities in Lanzarote, including council taxes and bank arrangements for water, electricity etc. You can then enjoy your property in Lanzarote with piece of mind! If you would like further information about any aspects of buying a property in Lanzarote, contact Worldwide Lawyers on 01244 470 339 or at info@worldwidelawyerss.co.uk and one of our friendly representatives would be happy to help. Worldwide Lawyers can also put you in touch with a recommended English-speaking lawyer in Lanzarote and other specialists who can assist you with making your property purchase in Lanzarote as hassle free and cost effective as possible.